So the first stop on my tour of Asia and Australia is Dubai, just for forty-eight hours. My colleague Alex and I were worked hard all day in the University of Manchester office that exists here, in the ‘Dubai Knowledge City’ — which like the rest of this place has been raised out of the desert over the last fifteen to twenty years or so. The towers in the background are the Marina Towers which apparently started the whole property boom off as this was the first place in which non-nationals had been allowed to buy freeholds in pretty much the whole of Arabia. But though I don’t know this place, not after one day (who could) and so can’t call this a considered opinion — there’s something about it which just leaves me cold. It’s just the antithesis of things I like about the world, in so many different ways. 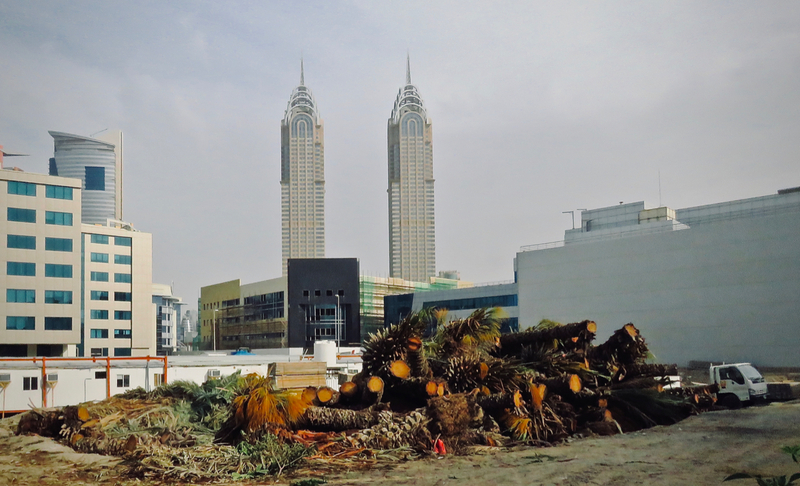 The chopped-up palm trees are my attempt to somehow encapsulate these feelings. The symbolism is deliberate. 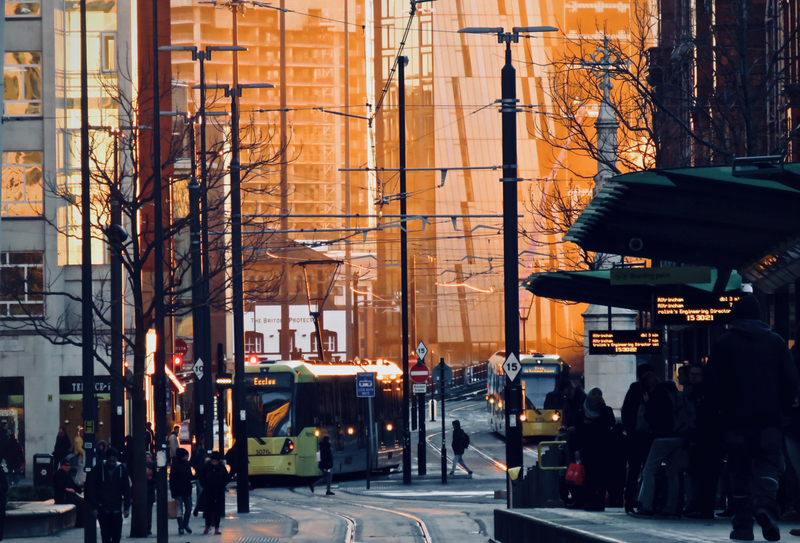 At least the sun came out this afternoon, its last rays of the day illuminating the skyscrapers that have grown up recently in the Deansgate area of the city. 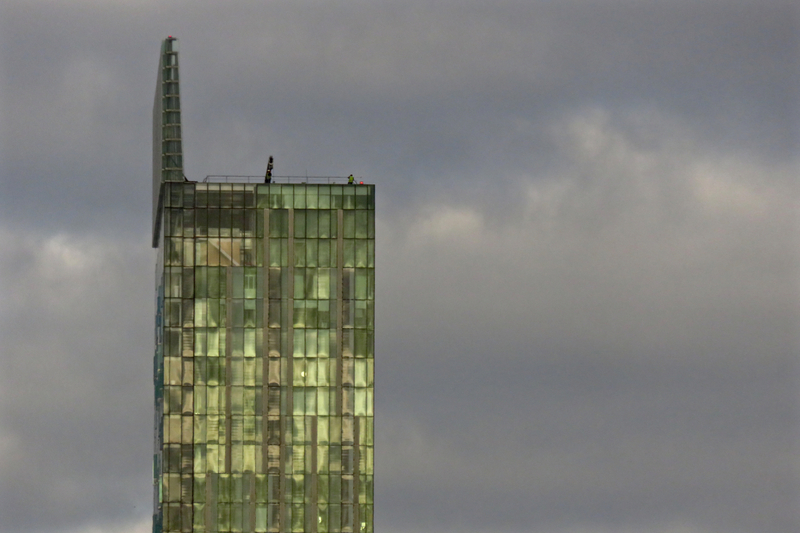 Old timers would not recognise some parts of Manchester now the years-long construction boom is starting to top out. At 554 feet, or 169m, this is the tallest building in the UK outside of London, and also one of the world’s thinnest buildings: not apparent in this shot but the unseen third dimension is very slight. 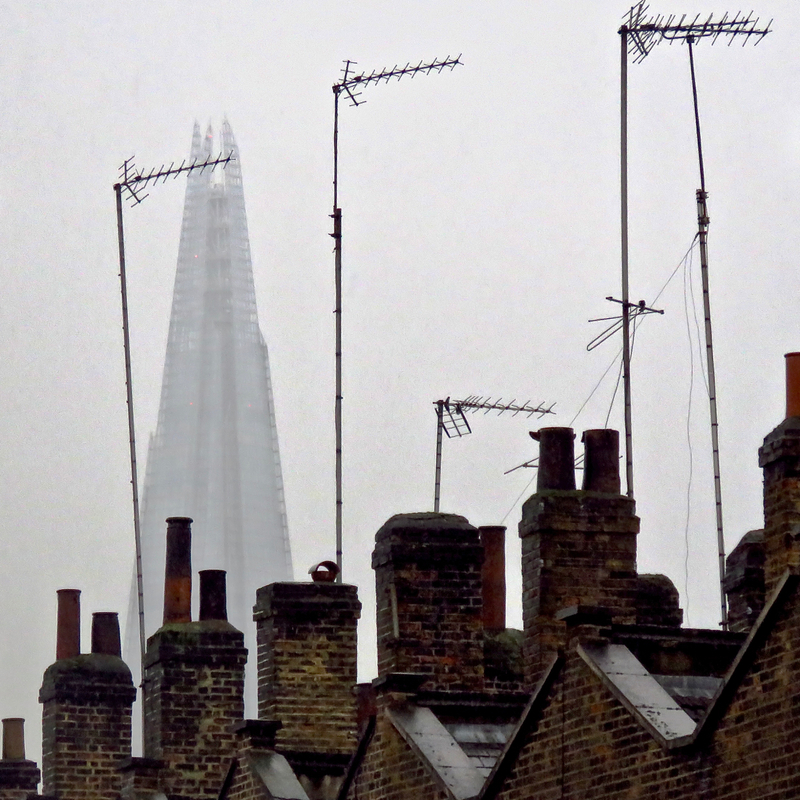 Only the topmost floors are seen in this shot, but these are the highest residential apartments in the UK. And apparently it makes a great noise when the wind is high. I like the way the windows had caught the vague sunlight this morning.